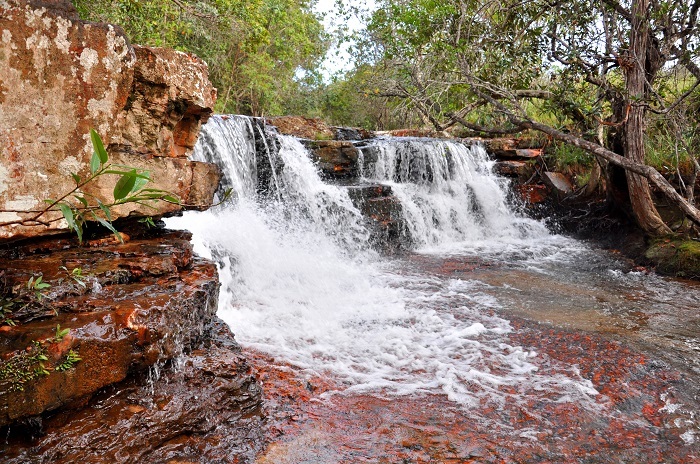 Jasper Creek, known also as Quebrada de Jaspe, is a river and series of cascading waterfalls which are located in the Gran Sabana Municipality that is part of the Bolívar State, within the south eastern part of the Bolivarian Republic of Venezuela. 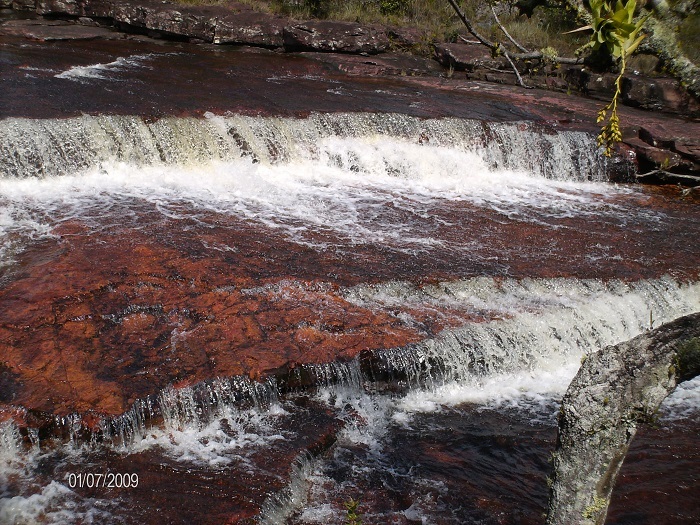 Being named after the smooth bedrock on which the river flows, it is actually a semi-valuable stone of mostly quartz and silica that gives a distinguishable strong red color due to the presence of iron. 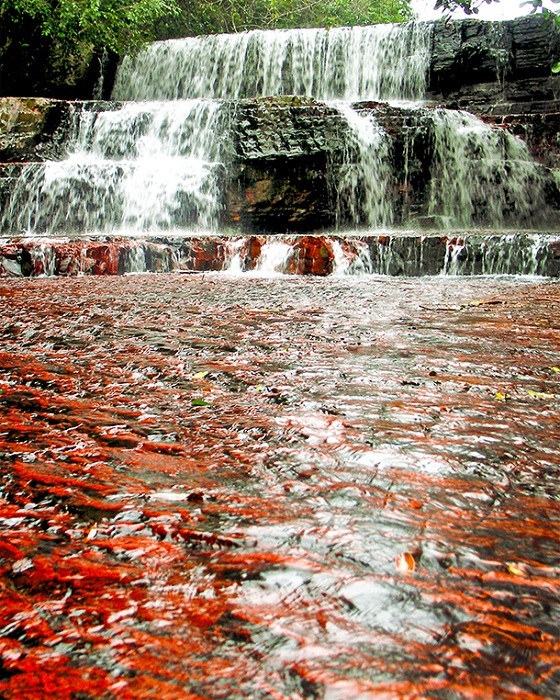 Utilized all around the world as jewelry and ornaments material, here in Venezuela the Jasper Creek is left as the nature created it, attracting plenty of people. 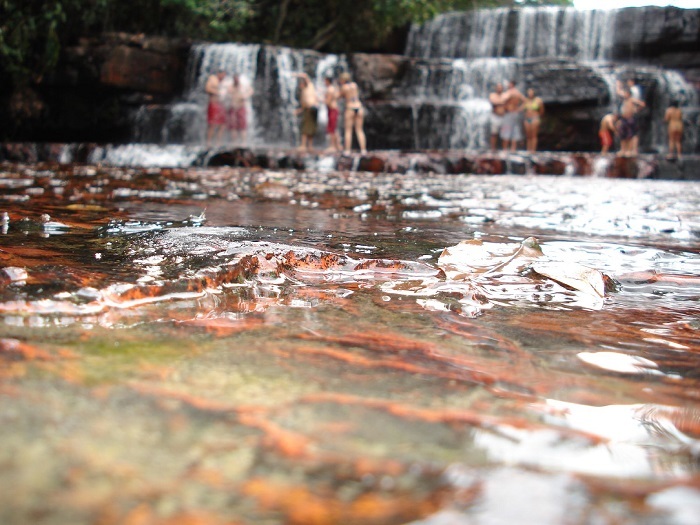 Because of that, Jasper Creek has been recognized as a natural monument by the Venezuelan Government which is also protected by law. 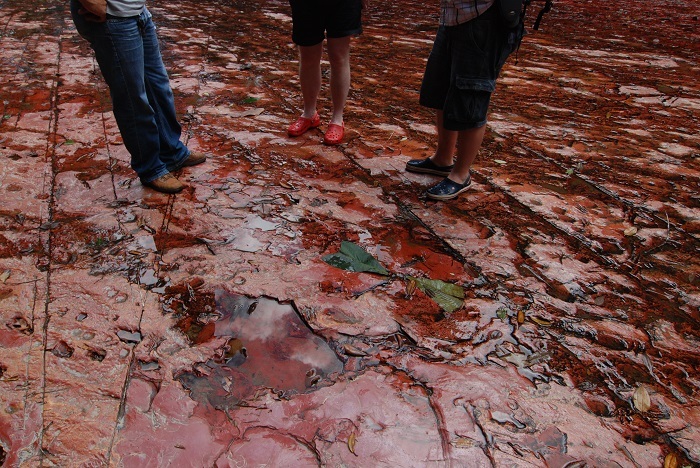 Still, even though jasper in the nature can be find in small deposits, over here the intrusions of magma into the sedimentary bedrock have led to the formation of slabs that are few hundred meters long. 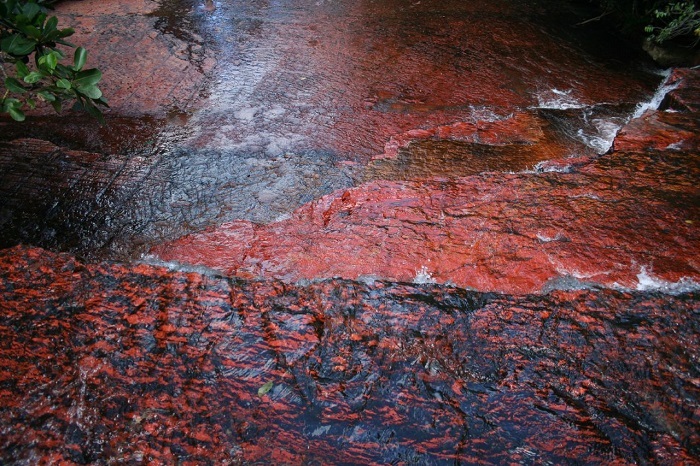 Nevertheless, the most alluring Jasper Creek is when the sunlight shines directly to the wet stone creating the shades of the color to be even more magnificent then what they usually are. 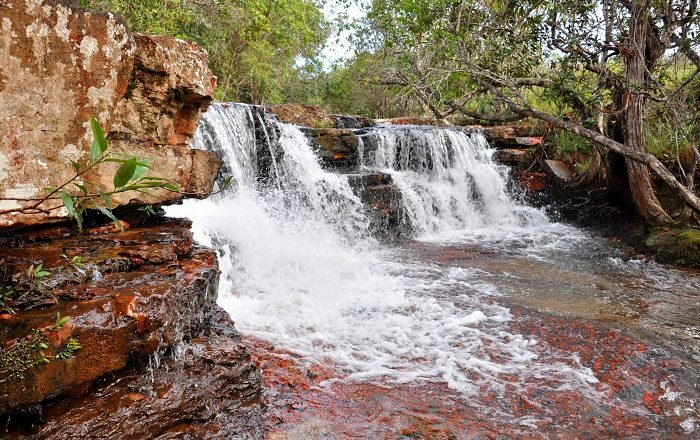 There are many other creeks similar to Jasper Creek, however, this one is considered to be among the most spectacular spots in Venezuela which will mesmerize every single visitor.